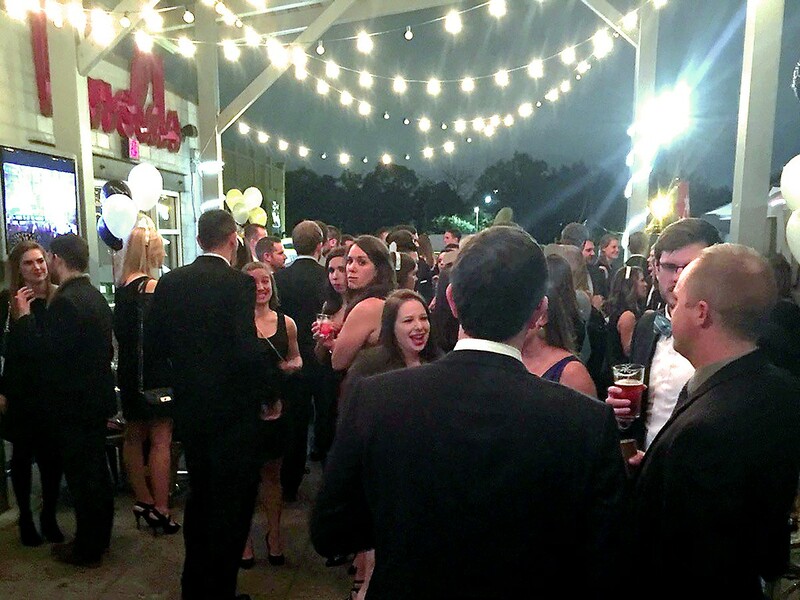 Celebrate New Year’s Eve in Houston with a Swanky Southern Supper at Harold’s! New Year's Eve on the terrace at Harold's in the Heights. Photo courtesy of Harold's in the Heights. Harold’s in The Heights‘ Executive Chef Kathy Elkins has crafted a three-course New Year’s Eve meal perfect for enjoying on the big terrace overlooking historic 19th Street. The evening is going to be a one-of-a-kind dining experience that’s perfect for waving goodbye to 2018 and welcoming the New Year. First, Harold’s is greeting guests with bubbles and whetting appetites with Bread & Provisions (homemade bread, pimento cheese, butter and pickles) before settling into the first course. Choose from warming Shrimp & Okra Gumbo, Winter Salad or Whitehurst Heritage Farms Confit Chicken & Rosemary Cornbread. 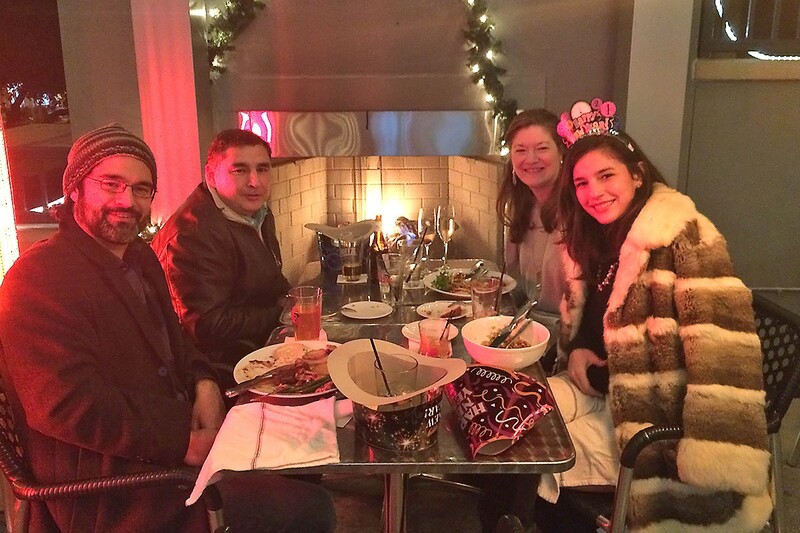 Dining on New Year’s Eve at Harold’s. Photo courtesy of Harold’s. Then, the main entrées take center stage. These include Black Hill Meats Beef Short Ribs with mashed potatoes, oyster mushrooms and beef demi-glace; Harissa Brick Chicken with fragrant basmati rice and blistered shishitos or Seared Scallops with capellini, lemon gremolata and Parmigiano Reggiano. There is a meatless entrée option as well: Sweet Potato Hash with a fried egg, cilantro and sesame seed pesto. For the last course, have a sweet conclusion to 2018 with a choice of three desserts. Select Champagne Mousse, Chocolate Heath Trifle or, for some elegant drama, the Flaming Crème Brulee. The picturesque balcony of Harold’s Restaurant & Taproom in The Heights.Photo courtesy of Harold’s Restaurant & Tap Room. The cost is $65 plus tax and gratuity and diners can add wine or cocktail pairings for an additional $20. (Welcome bubbles are included for everyone!) Visit the Harold’s website to make a reservation or call 713-360-6204. Reservation times start at 5 p.m. and continue through the evening. 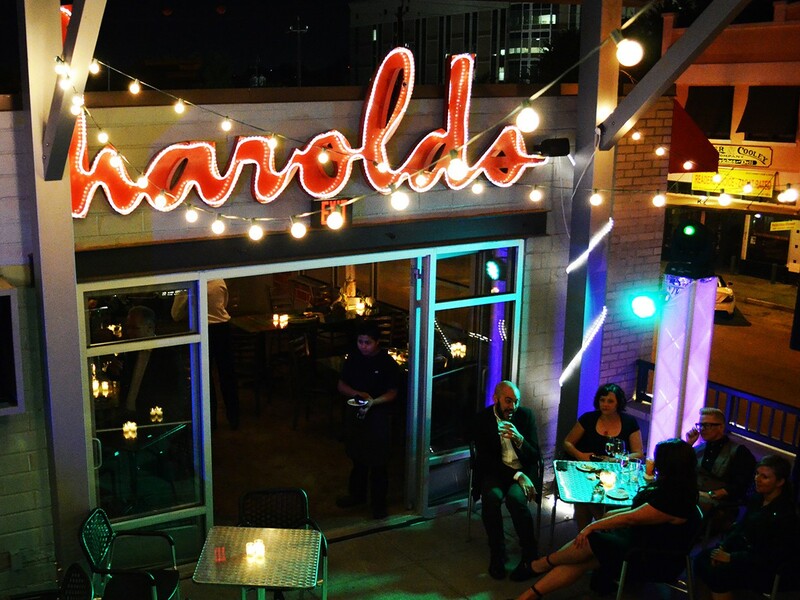 Harold’s is located at 350 West 19th Street in the heart of the historic Heights. A reservation must be confirmed with a valid credit card. Cancellations must be made prior to 48 hours of reservation to avoid a $25 fee. Holiday events tend to get fully booked, so make your reservations soon!